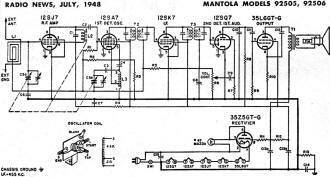 According to the Radio Museum website, B.F. Goodrich, of Akron, Ohio, manufactured the Mantola line of radio receivers. It was evidently a low quality, low price, short-lived run of models. 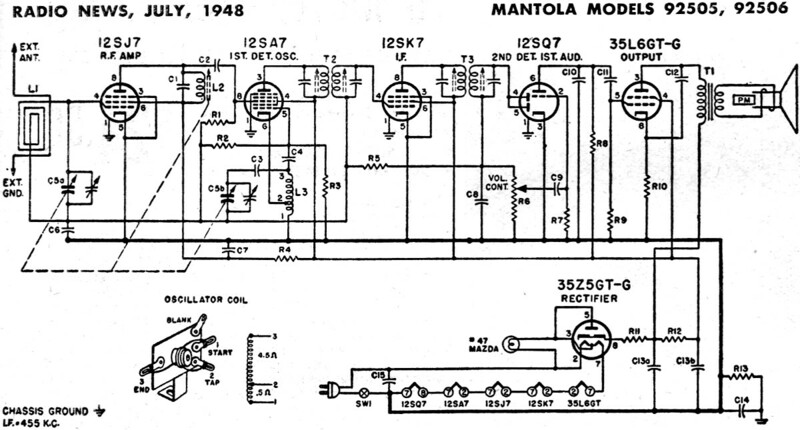 The simplicity of the schematic shows the low parts count. 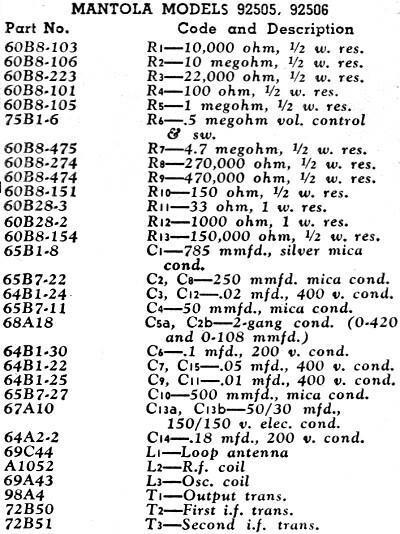 A lack of multipole filter circuits likely means selectivity was fairly marginal. 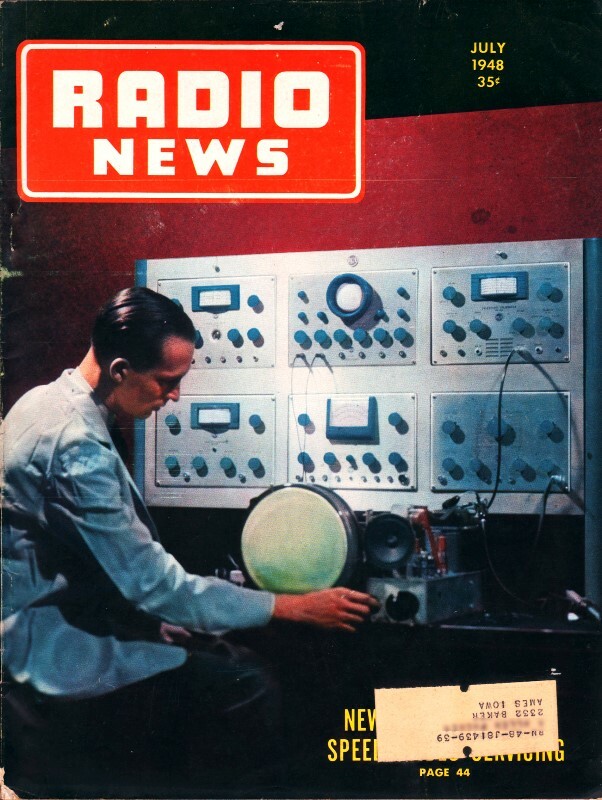 One good feature is that unlike many earlier radios and TVs, the AC line connection is DC-isolated through a 150 kΩ resistor (R13). 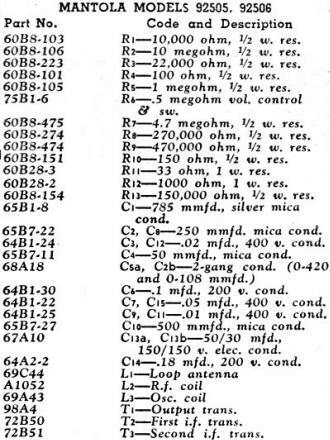 Look at the schematics of older sets and it is not uncommon to see one line of the AC supply tied directly to the metal electronics chassis. An isolation transformer right at the input is the safest way to do it.